Genetic counselors are more in demand than ever, filling critical roles at healthcare institutions and companies across the country. However, with two to three job openings for every new genetic counselor who graduates, we’re facing a national workforce shortage. In fact, according to the U.S. Bureau of Labour Statistics, the number of genetic counselors needed is expected to increase by 29 percent in the next ten years — which is much faster than average growth across other fields. At 23andMe, we’re committed to developing genetic reports that consumers can access on their own. However, we rely heavily on our genetic counselors to ensure that the information we share is both accurate and understandable. So, in honor of Genetic Counselor Awareness Day (November 8), we’re profiling our very own genetic counselors at 23andMe who make the work we do possible. As an added bonus, we also asked what they love most about their role at 23andMe, especially since their path may not be what others consider “traditional” for those in the genetic counseling field. “As a Medical Science Liaison, I am able to meld my clinical genetic counseling, research and educator skills all into one valuable experience. I am honored to engage in purpose-filled work that contributes to our ability to provide an optimal and potentially more inclusive experience for all customers. Altovise is a licensed and board-certified genetic counselor with seven years of clinical and research experience in cancer genetics. She joined 23andMe in April 2018 as a Medical Science Liaison and focuses on distilling complex medical information for our customers. She’s also responsible for developing external relationships with key opinion leaders and educational development. 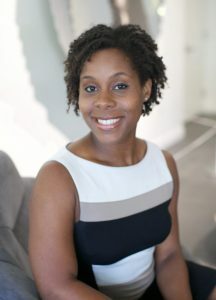 Altovise holds a PhD in Human Genetics with a specialization in Genetic Counseling from Howard University and received a BA in Biology from Rhodes College. During her training, she spent time at the NIH with the National Human Genome Research Institute and the National Cancer Institute. She also had the privilege of providing genetic counseling services to patients at Walter Reed National Military Medical Center. Stacey is also on our Medical Affairs team and has four years of clinical and research experience in perinatal genetics. She’s an active member of the National Society of Genetic Counselors. As part of her role as a Medical Affairs Associate, she focuses on product, clinical and educational development — which means that she helps ensure our product includes consumer-friendly information that’s medically accurate. 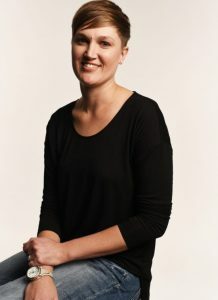 Prior to joining 23andMe in 2016, Stacey served as both a perinatal genetic counselor and clinical research coordinator at Rutgers-Robert Wood Johnson Medical School before providing clinical counseling at Palo Alto Medical Foundation. Anne is on our Medical Education team and specializes in developing content to educate health care professionals to better integrate personalized genetic information into the everyday care of their patients. Anne is a board-certified genetic counselor with over 25 years of experience in genetic counseling program leadership, medical education and administration. 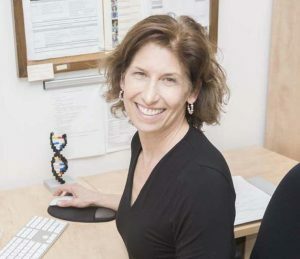 Most recently, Anne directed the Joan H. Marks Graduate Program in Human Genetics at Sarah Lawrence College where she led efforts to increase the program’s training capacity so more genetic counselors are available to meet the needs of patients and their families. She also served as president of the American Board of Genetic Counseling. Altovise, Stacey and Anne are critical members of our team, and we sure don’t give them much downtime. On Genetic Counselor Awareness Day, we’re particularly excited to show our support for their work but that doesn’t mean we aren’t sending our kudos their way every day, too.